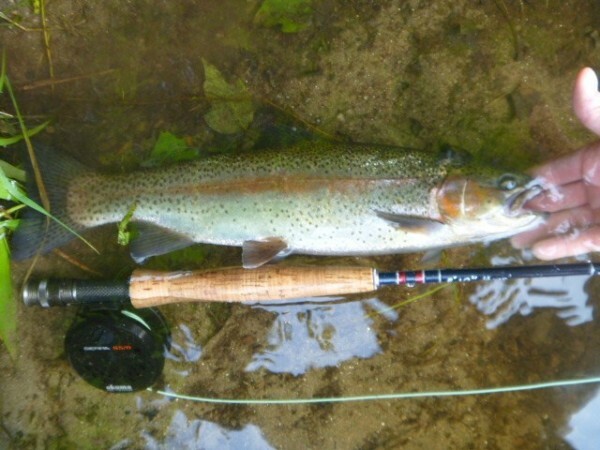 Nice fish from the Farmington! Is that a bottom-release waterway, with temps remaining cool through summer? 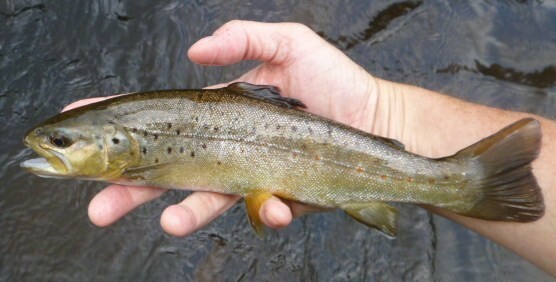 I’ve been mostly on the feeder streams of late, where water temps hang between 60-65 degrees. Too warm at the main stems of the bigger flows. Yes it is. A bottom release and a flow of 300 cfs or more will keep it cool for a certain distance, but it starts to warm up near Collinsville. You start to see bass and bream. It’s always nice to be out and on some water, even if it isn’t gangbusters. I enjoyed the report and the pics – that’s a very nice rainbow!